Matthew Eidem, MD in Plano, TX was born and raised in rural Minnesota. He received his Bachelor’s degree from North Dakota State University and earned his Doctor of Medicine degree from the University of Minnesota. Dr. Eidem completed his post graduate training in internal medicine and gastroenterology at the University of Texas Health Science Center at San Antonio. He spent a year as a Clinical Instructor at the University of Texas Health Science Center after being selected Chief Resident of the Internal Medicine program. 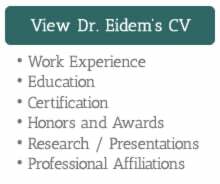 Dr. Eidem is board certified in gastroenterology and internal medicine. 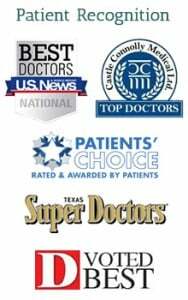 He belongs to numerous affiliations including the American College of Gastroenterology, American Gastroenterology Association, American Society of Gastrointestinal Endoscopy and the Texas Society of Gastroenterology and Endoscopy. 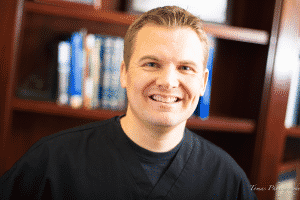 Outside of Medicine, Dr. Eidem enjoys sports, traveling and spending time with his family. He is married and has two children.